Back for another conversation this time with a very inspiring woman, Kate Hayes of Echoing Green. Kate discusses her incredibly interesting journey and love for health human interactions and support. She is a current leader in the impact investing and social enterprise development space. Welcome, welcome, welcome, to the Bonfires of Social Enterprise. Romy here back for another conversation with a very inspiring woman, Kate Hayes of Echoing Green. Kate discusses her incredibly interesting journey and love for health human interactions and support. First, let’s see what Natalie has prepared for our Fun Fuel for this episode. Leadership takes all kinds of forms and has many different styles. After all, we are all uniquely made and don’t respond the same way to things. I need to work on that one myself! Let’s tune in with Romy as she interviews this episode’s latest trailblazer. Thanks, Natalie! So many great leaders have gone before us in history. Let’s turn our attention to a current leader in the impact investing and social enterprise development space, Kate Hayes of Echoing Green and her program, Direct Impact. Romy: Let's talk about Echoing Green. Let's talk about Echoing Green. It had a unique start. Kate Hayes:	Yes. So, Echoing Green was founded 30 years ago by a group of individuals working in the private sector who wanted to see what would happen if you took the principles of the private sector and applied them to the social sector, and so they started investing deeply in early stage social entrepreneurs, and that has really been at the heart of everything that Echoing Green has been about for the past few decades. So, the core of our work is our fellowship program, where we search the globe to find amazing early-stage social entrepreneurs who have incredible ideas that have the potential to really change the world and solve big social, environmental problems, and we provide them with funding, with support from our staff, from our ecosystem and our community, as well as the community amongst one another where they are each other's best resources as they work to take their organizations to the next step and begin to really grow and scale the solutions that they've identified, and over the past 10 or 15 years, one of the things that we've become more intentional about is building out our ecosystem of support. So, we know that social entrepreneurs are incredibly important. They're close to the work. They're really dedicating their lives to solving really big problems that exist, but they can't do it alone. So, we wanted, as an organization, to become more intentional about how we create an ecosystem of support for them to really help with making that change come to life. So, with that, we started doing work in the impact investing space, as we saw more for-profit social enterprises join our fellowship program, and we wanted to connect those early-stage organizations with impact investors that were interested in supporting for profits at a very early stage, and from there, we've then developed the direct impact program, which is what I lead, and I can certainly talk quite a bit about, which is intentionally developing the next generation of board leaders to support our social entrepreneurs. So, we're very carefully thinking about every role that needs to exist in working together to solve some of these big problems. Romy:	And Kate, just undoing all of that, I feel like we could probably do about 10 episodes on what you just said, all those interesting things, but for Echoing Green, how does Echoing Green define early-stage entrepreneurship? Kate Hayes:	Yes. We are one of the earlier stage. So, we define that as the idea stage to about two years of operations. So, we will, if somebody has an incredible idea and a very compelling way of stating it, and stating how they're going to solve it, we will fund at that idea stage. We also will fund proof of concept or at a couple years of operations, which makes us really unique in the space, and I think part of what differentiates us is we're really focused on the leader first. We know that by investing in somebody who is proximate to the work, they've lived the challenges that they're trying to solve, they know the communities incredibly well, and they're so deeply embedded in the solutions that they're trying to create, that they're going to, no matter what, be successful. So, while we, of course, look at the organization, we primarily will focus on the individual and what they bring to the table, and then we'll look at okay, is this an innovative solution to a longstanding problem, is it a pressing problem, what does the business model seem like? It does not need to be perfect because that's an area that we can really support in, but we are very much leader first, and every year, we get somewhere around 2500-3000 applications from social entrepreneurs all over the world. It's one of the most fun parts of my job is getting to read a lot of those applications alongside my colleagues, and we're ultimately selecting around 30 each year. So, we also work to support those social entrepreneurs that apply throughout every step of the process. Whether or not they ultimately get a fellowship, we want them to receive some sort of value from going through that, especially since they're coming in as early as an idea. So, we have a lot of opportunity to help them think through and articulate what they're trying to do. Romy:	That's so thrilling. So many folks in the, I'd say impact investing space broadly, will often make comments like there just isn't deal flow, but it takes a firm like yours to go in and develop the deals so that they can invest in them. That's so exciting. We want to involve you more in Detroit. I just want to raise my hand right now. Romy:	We want to involve you more here. So, back to your firm. Many, many have not figured out this early stage piece, and I love what you said about leadership because we feel the same way. One of the taglines we have is "Supporting people first from inspiring places with productive ideas," but it's the people that make all this happen. We want to support the persons that are leading the efforts and getting them all what they need. How did you guys come to land on what seems obvious, but there's a lot of distractions around the idea sometimes, and people forget about the leadership? Kate Hayes:	You're absolutely right. I think it has just been so deeply ingrained from the start that it's hard to pinpoint exactly when the organization decided that that was the goal. I'll provide an example of one of our very first social entrepreneurs that is no longer with our organization, but I think provides our continued reasoning of why we focus on the person first. So, Cheryl Dorsey was the founder of The Family Van, a mobile healthcare clinic in Boston, which actually will tie back a little bit to my story. I spent a few years volunteering on this mobile healthcare clinic, and that was what first got me interested in Echoing Green because I learned that that organization and Cheryl had been funded and supported by Echoing Green, and she stayed with the organization for some time, and ultimately, about 8 years later after that initial funding from Echoing Green, Cheryl actually took the reins as president of Echoing Green, and so we're continuously reminded of no matter what our fellows do when they start at the organization, and we do find that many of the organizations last with their original founder, who's our fellow, or with somebody else that takes the reins, but they continue to go on to do incredible things. I think a great example is Van Jones, who was a fellow in the 90s, and many people will now see him on CNN. So, we have all of these stories of our fellows going on to continue to do incredible things. It's about 85 percent of them remain in leadership positions within the social sector, and so that reminds us that no matter what that idea is, what the person goes on to do is going to have impact that we could never even see at the point of application, and at the point of that first idea, but many, like Wendy Kopt, who was a fellow in the early 90s, continues to stay with Teach for America, and now Teach for All. So, it's pretty incredible seeing the varying paths, but that's really what brings us back to this investment in the individuals first. Romy:	Wow. That's incredibly exciting, and so before we stay on this track of you guys pouring into leadership, I want to talk about healthy boards and governance in a minute. 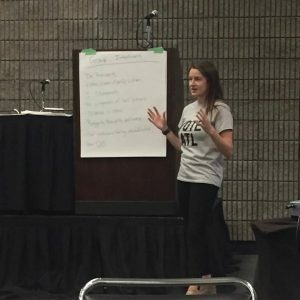 Let's dip sideways for a minute and tell people a little bit more about your journey, Kate because you referenced it briefly, but what's been your journey about getting into the field? Was that your first experience with the mobile healthcare clinic, or had you been out in this type of work before you joined? Kate Hayes:	Yeah, so it was one of my early experiences. Like many in the non-profit and social sector, my path has been winding but has landed me to exactly where I feel like I'm supposed to be. So, when I was volunteering on The Family Van, that was in college, and I was studying neuroscience because I'd always been deeply interested in human behavior and why people do the things that they do, and also a huge science geek, so I thought I'd bring those two things together, study neuroscience, and go on to medical school. That experience with The Family Van really opened my eyes. Social entrepreneurship was just a very early field. It was happening. Social entrepreneurship has been happening for decades, and even centuries, but the naming was just starting to come about, and it was not something that I was familiar with at the time, but when I learned about Echoing Green and learned about the work that similar organizations were doing in the space, it got me really thinking about the type of systemic impact that I wanted to make. So, I ended up graduating, took my MCAT, decided to put med school applications on hold while I tried working in the non-profit sector, and so started out at an organization focused in the education space, and fell in love with the space and could really see how I could make what I hoped and continue to hope will be transformative impact over time, or at least supporting pushing the needle on a lot of these things that I really care about, and so ended up not applying in the end and stayed in the space, and over the years was working at quite a few youth-serving organizations but was trying to narrow down to exactly what I cared most about, and it kept coming back to leadership development and this time with neuroscience, with human behavior and understanding how people grow and change, and don't change, but how you can influence that as well as this social entrepreneur field and the power of innovators that can disrupt, really positively disrupt on some of these big issues, as well as cross-sector collaboration. When I was at my previous organization, that was something that I was working within a lot, was catalyzing the power of corporate professionals to engage in the social change ecosystem, and there came a point where I said okay, I guess the best way for me to make an impact is to become a social entrepreneur. I think that many in the social sector go through this moment, and so I wrote a business plan, submitted it to Echoing Green because that's what you do when you have an idea, and made it pretty far in the process but didn't ultimately get the fellowship, but certainly reconnected me with the work of Echoing Green, and soon after, found a role working here that was really tying in those three things that I cared most about, and so I had the opportunity to join the team just about four years ago, and really rethink the way we were doing leadership development, especially for people in the ecosystem, not just our social entrepreneurs, but the other key players, primarily those in the private sector that have a critical role to play, and so have been here ever since. Romy:	Wow, and you had an opportunity to see some of the social entrepreneurs around the world. I mean, we exchanged some pictures, and you've been everywhere from Rwanda to all of these places that I've seen some pictures. Can you give us a little tour of the sampling of places you've gotten to learn about entrepreneurship? Kate Hayes:	Sure. So, I'll tell you first the why around those particular travels. As part of Direct Impact, the program that I run, we take cohorts of individuals from the private sector who are interested in deepening their engagement in the social sector have a lot of interest and intent and want to do it in the right way, and in a really intensive experiential leadership development driven way. So, we put them through a few retreats and then also site visit, which is where the pictures come in. We'll take a small group of individuals from across the private sector and across ... Mostly New York is where we primarily been focused, but we're starting to expand across the US and, ultimately, globally in working with corporate leaders, and we'll bring them to spend a few days shadowing our social entrepreneurs, and really experiencing social entrepreneurship firsthand. Ultimately, at the end of the days, we're preparing these individuals to join the boards of our fellow organizations, the non-profit boards. 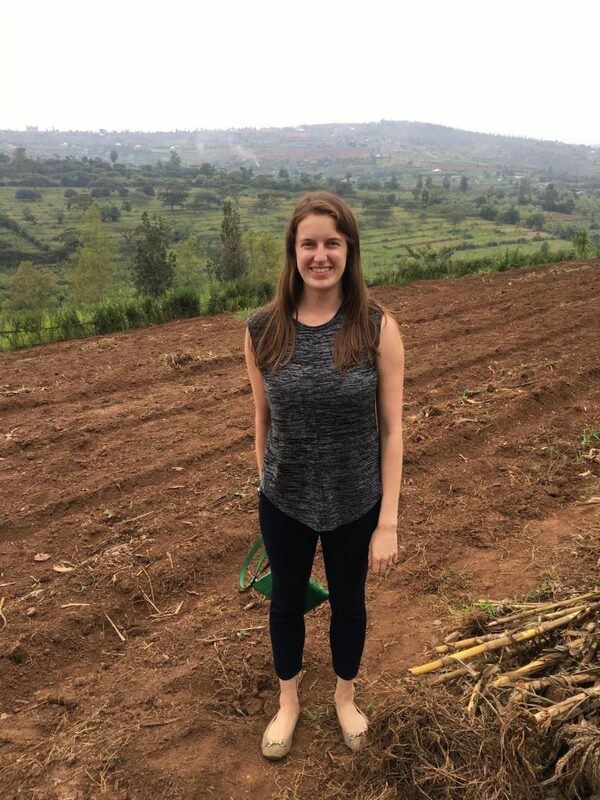 Katie Hayes: Collective in Kigali Rwanda and that example shows one of the most exciting through lines that we've seen with the program, and that African Entrepreneur collective now has three Direct Impact graduates on their board, including their board chair. So, the transformation in this full circle ecosystem that we've been able to see from our fellows to our Direct Impact [inaudible] has been really incredible. We've also brought people to accountability lab in Nepal to Contextos in El Salvador to the Center for Civic Innovation in Atlanta because we also focus on US organizations. There's certainly a ton of value in seeing the different sides of the cities right here in our own backyard. At the end of the day, the site visits really offer this transformative moment where people are deeply out of their comfort zone. They're experiencing social impact and the work that non-profits do in a firsthand; this is the good. This is the challenging wave that really becomes a reflection point in their lives. 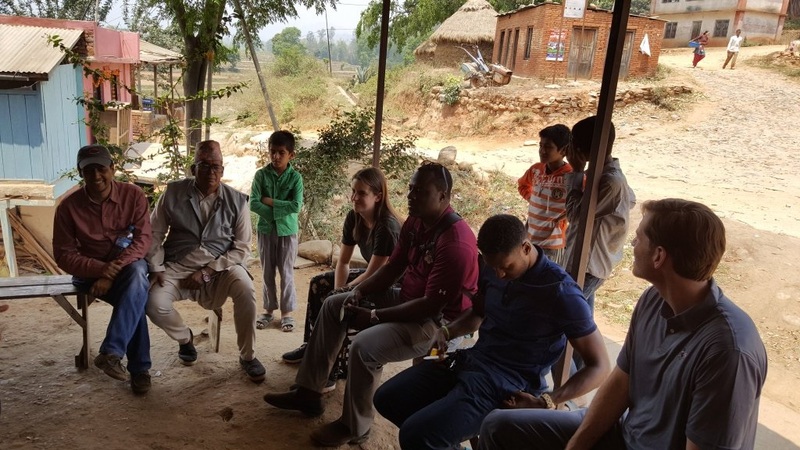 Not only are they able to learn and becomes immersed in the work, but they're also able to really step back and think about the impact that they want to have as they join the boards of these organizations, and more broadly think about as corporate sector leaders how they can influence the social sector for the good. Romy:	Just because you need to get out and get on the front like so you that you can really understand all the nuances and all the intricacies that won't prevent an entrepreneur from going forward, but they require understanding if you're going to partner or fund those on the frontline. Well, that's really exciting. Just for our listeners, many for-profit organizations also have boards. We don't want it to confuse any of that. Mostly what Kate works with is the non-profit boards, the more formalized boards. Would that be correct, Kate? I don't want to misspeak. Kate Hayes:	Yes, that is. Our primary focus through Direct Impact is on non-profit boards, but what I've found to be true, especially with the social enterprises, are for-profits are very social impact first. Kate Hayes:	The lessons are very much the same for both non-profits and for-profits, especially for for-profits that are social impact first in terms of how do you create an engaged board, a board that's really supportive and can engage in strategic conversations? The lessons that we really speak to, to showcase through the Direct Impact program are very applicable to both non-profits and for-profits. Romy:	I agree. They're all just a version of hybrids, you know? Someone said, "I wish we could just call them all Impact organizations," and it's like, "Yes, we can," but for impact organizations, but they'll still end up needing to be separated out for IRS reasons. Kate Hayes:	Right. It would be nice. Romy:	So, I really want to spend some time talking about this program that you're in charge of, and thank you so much for spending some time taking us along the journey of the history of how you got to overseeing this program called Direct Impact for Echoing Green, because this is where your passion is at this moment, right? Kate Hayes:	It is, absolutely. Romy:	Let's talk all about this particular program. Kate Hayes:	Yes. When I started at Echoing Green, I was tasked at doing two things. Figuring out a way to support our fellows through this ecosystem approach, which I talked a little bit about, and engaging cooperate leaders. As I stepped back to really think about how to do that in the best way, one of the original hypotheses, "well, what about training board members? There's a lot of corporate leaders that become non-profit board members. Is that a space that we could work with them?" I started to look at the field and saw a few things. The first thing was that boards are not all that effective. They have a hard time really engaging in strategic conversations; they're not very diverse, they have a hard time fundraising. So, we knew there something not quite working within the board space. We also saw that there was very few training programs that exist, and almost every person who was on a non-profit board has not gone through any sort of training. The training programs that we did come across were really focused on the legal and fiduciary responsibilities of the organizations, which is absolutely important and very needed part in preparing board members, but what we saw is the gap was the leadership training. We know that boards are just groups of individuals that have a common mission to support and oversee an organization. We said, "What would it look like if we took Echoing Green's history of deep investment in leaders, and applied that to individuals that were going to be joining boards of our organizations?" And really reimagining what it looks like to prepare to serve on a board, and what it looks like to engage your board, because one of the things that we learned very early on is that the biggest piece that's missing, in terms of making boards more effective, outside of getting the right people in the room, which I can come back to, is the partnership and the relationship, both amongst board members with themselves, and then between the board members and the executive director or a CEO. If we could get that right and get everybody on the same page, rowing in the same direction, understanding what they needed to do to be successful and to really take their board to the next level, we knew we'd be very far along. That was the board side. We also then saw that there was a lot of desire from cooperate individuals to join boards, yet only 16% of board members are under the age of 40. So, we started to focus on our efforts on mostly those in their 30s. They're pretty established in their career, or at least starting to get there, and they're ready to give back. They've been volunteers, but they want to think about what board service could look like, and what it could look like now versus in the future, which many think of it as something that you do when you're much older and further along in your career. We began to take all these things together and develop the Direct Impact program, which is, again, at its core, a cohort-based program where we're bringing a diverse group of individuals from across the private sector together to go through a shared experience. It's really built on four key areas. The first is leadership development, unsurprisingly. We looked at that from two angles. The individuals ... So, who am I as a leader, how do I show up, how am I perceived, as well as the group. How do I work in a group, how do I work in this very unique team environment that is a board? So, we help people [inaudible] that path and really identifying where they are on their leadership journey, and figuring out where they want to go, what they care about, what their purpose might be. The second piece is around strategic governance. We do talk about the legal and fiduciary responsibilities, but we more so focus on the leadership elements of governance that allow boards to really engage in strategic conversations about the direction of an organization, whether that's at the early stage, or whether that's at the mature, or somewhere in between. The third area is around philanthropy and fundraising. We help individuals figure out how to fundraise; we know that most board members have not received any sort of fundraising training, so that's definitely a gap that we want to fill through this program, as well as understanding non-profit financials, what's similar and what's different between for-profit corporations and non-profits. Finally, the fourth area is around social entrepreneurship, and how change happens. 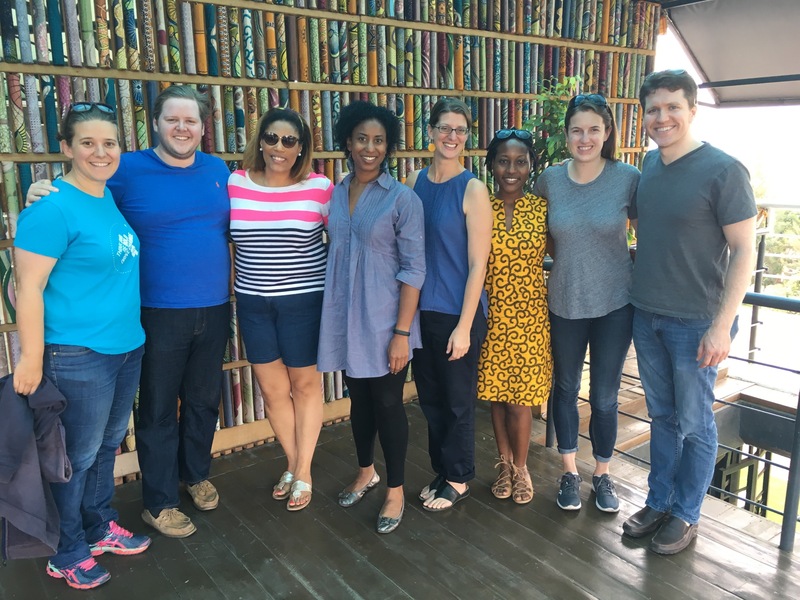 So, that ties back to the site visits and how we expose them to non-profits, to the inner workings of these organizations and the communities that they're serving so that they can be thoughtful and intentional about the decisions they make with more knowledge around social entrepreneurship really works. Romy:	So, are these also applicant identified? Do they apply or do you run sets of classes just to curate these types of leaders? How do you go about that? Kate Hayes:	They do apply. It's a less intensive application than our fellowship process, which takes about eight months, start to finish, but individuals do apply either directly ... We also work with corporations who will identify their employees that might be a great fit for the program, and then they still apply and tell us about themselves to make sure that they're ready. It is a very time-intensive commitment, but a very meaningful one at the same time. We really use the application to get to know people better and ensure that they're ready for this sort of leadership development program. Romy:	So, your specific Direct Impact program wouldn't be hired out, for example, for other types of work? Kate Hayes:	Yes. So, our deprogramming currently takes place in New York, at least the retreats, though in the next year or so, we'll be launching shortened versions across the world, because we don't want this to be something that is just for those that can come to New York for two weekends and then go on a site visit. Also, as we're starting to think about how we take the lessons that we're learning about great non-profit board service, and leadership development and bring that to a broader audience. We're actually starting to do shorter workshops, half-day, day-long, many times in partnership with other organizations so that we can at least get some of what is part of the full direct-impact experience, which is over the course of two to three months. It's about a 70-plus hours of intensive leadership development, but these workshops offer us an opportunity to really partner with others, to bring some of that into other spaces. We are beginning to do that, which is really exciting. Romy:	Yeah. That's very exciting. I think any time, I think for those of us who are already my hand in this category, those of us who are out looking for ways to find out who's doing what well, and help these communities fill gaps, talent and skill gaps, it's good to know what everybody else is doing. Those gaps are as you can say, "You know Echoing and Green has this program, among their many talents, they've got this gal, Kate." Kate what do you see ... what would you love as you think about outcomes of this, what do you dream about, if you let yourself go there? Kate Hayes:	I love that question. As a big dreamer. What I think most often about is the fact that I really do believe that everybody has a role to play in solving some of these big problems. And everybody has a different and unique role to play. When I think about direct impact and meeting leaders where they are and helping get them to where they want to be. I see that going much more broadly than our corporate leaders in New York and around the East Coast that we've been working with. But, really bringing this notion of investing deeply in leaders, especially corporate leaders. And I'll say I don't think everyone should become a social entrepreneur. I don't think that everybody should start a non-profit, I think it's very testing to see and experience problems in the world and that feels like the right thing, but I do firmly believe that people can, regardless of their career choice, have the opportunity to really give back and bring the skill sets that they've developed, the networks that they have to the issues that they care most about. And so, while I'm primarily focused on the corporate sector with that I really see it going so far beyond. And at the same time, I really see us re-imagining what board leadership looks like. And ensuring that there is some sort of barrier to entry. We can't continue to have boards that are not effective. We can't continue to have 65 percent of board members who don't think their fellow board members are experienced. 50 percent are unengaged. We have to do better because, for a non-profit organization, any organization or company, the board is really the constant. So, while an executive director or CEO might come and go, the board is going to consistently be there, and be the entity that is responsible for the success of that organization. So, those are really the two big pieces. But, I would be reminisced not to say the third, which is something that I've spent a lot of my time on, is that we really need to think about board diversity, equity, and inclusion. We're at a place where only 20 percent of board members are people of color. I mentioned the age. Gender is fairly balanced in terms of board members, but for leadership positions just about 90 percent of board chairs are men. We have to do better in making boards more diverse. We need to do better in ensuring that policies are inclusion. And we need to do better in making sure that they can show up and provide the care that they need to for the mission that they're serving on. Kate Hayes:	I think what I hope we're starting to move the needle on is having people think about what the value is in the board. For our early stage social entrepreneurs, many of them don't want to have a board because they just see it as an unhelpful group of people that they have to manage and coral and try to get them to do stuff. They get frustrated when they don't do stuff. We really need to build a partnership of people that, when I say the right people in the room it means that there's people that have experienced the problems that the organization is trying to solve. We can't continue to have boards that don't have true community stakeholders on them. Because if they're not in decision making power places, that's a huge problem. And we're going to continue to perpetuate a lot of these issues that we see today. At the same time, we also need to continue to build this partnership and this bridge between the board and the executive director that's built on trust. We need to rethink board meetings so that they are conducive to building relationships. Because there's finally stats in that say that when you spend social time with the board outside of the boardroom, board members actually do better and are more engaged, and more involved. The boards pre-form better. Which is very exciting, but we need to intentionally build those relationships and get clear on what that value is of the board, and how they can show up in the best interest of the organization. Because that's going to benefit the organization, it's going to benefit the member, and it's going to ultimately support in the mission that the organization is working towards. Romy:	Right, and that's great. I guess one question I have is, are you seeing, Kate, as more traditional adventure capital comes- you know venture capital used to maybe taking a board seat in a for-profit- we're noticing this super interesting conversion that they start to take seats on for-profit social enterprises when there isn't enough formality of a board. Are you noticing any conversations going on there, in that space? I know, your specialty is the non-profit boards, but are you noticing any conversations coming up there, that traditional venture capitalists are starting to put dollars in, and asking for more formality in a board? Kate Hayes:	We have actually been having conversations around this just in the past couple of weeks, so it is a very timely topic and something we're seeing more about. We're definitely early stages in figuring out what our support could look like if that's a space that we want to grow into which is definitely adventurous because so many of the organizations that we support are for-profit. But, I'm glad you ask and we're just at the start of looking at that support in terms of developing those for-profit boards, especially with the increase of VC's taking board seats could look like. Kate Hayes:	Thank you so much for having me. 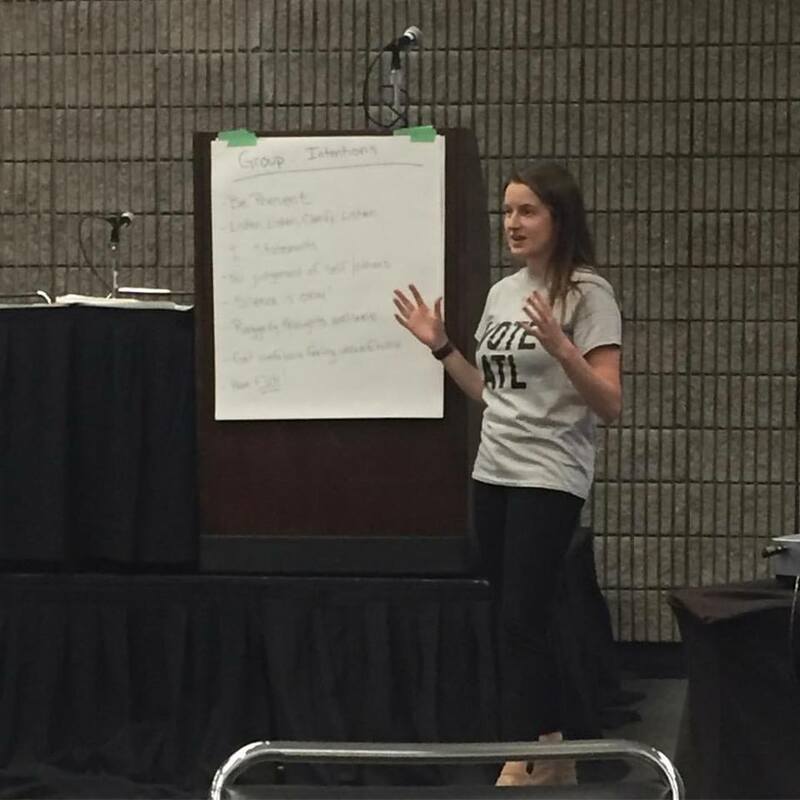 Well, thank you, Kate, for sharing all that you are doing and your amazing insights! Time for our song. We have another Detroit artist provided to us by our friends at Assemble Sound. Please enjoy artist, Astray, with his song Star Struck. Until next time, keep those bonfires burning!